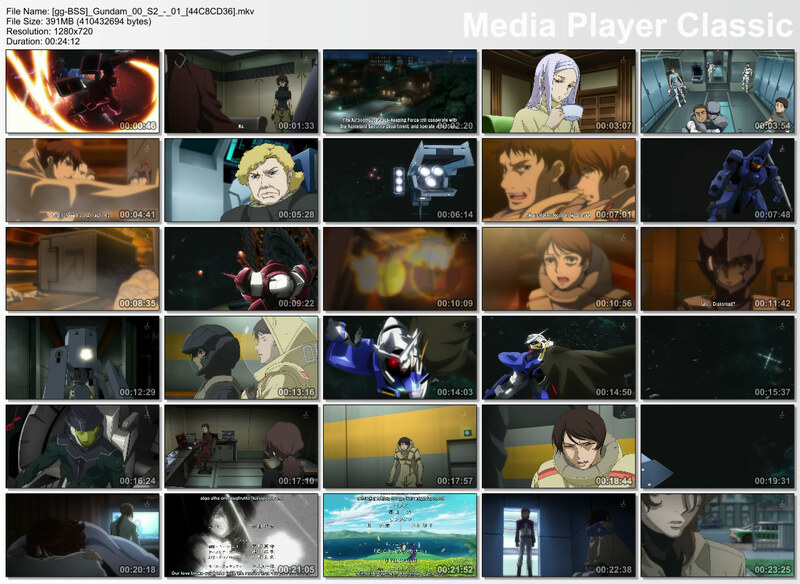 Amazing start for Gundam 00 second season. It can’t be any better than this. This anime will going to the best anime for fall season. There are still a lot of room for story and character development. IMHO, i still prefer gundam 00 than Clannad because of the complexity, better plot as well as better animation. The story begins a lot of faster than first season. Setsuna and Exia is back although Exia later being destroyed by A-LAWS mobile suits. Seravee ( a new gundam) has be introduced in this episode which is piloted by Tieria. Fighting scenes are fluid, flawless and awesome. It is look very promising so far and going to outpace Season 1, Code geass R2 and Macross Frontier. For now, there a lot of questions need to be answer. How Saji Crossroad going to contribute for Celestial Being? How Saji Crossroad going to save Louise? Will Lyle Dylandy (Neil Dylandy) able to pilot as good as his twin brother? Who and how they going to save Allelujah from prison? What Celestial Being can do for now? Will and how much Sunrise going to reveal more about Allelujah, Setsuna, and Tieria past? Only time will tell. This entry was posted in Anime and tagged gundam 00 second season, Gundam 00 second season - 01 by mofandom. Bookmark the permalink.